Join us at the Cosentino Showroom (A&D Building 150 E 58th Street) for a talk by AIANY New Practices New York competition winner MODU. Phu Hoang and Rachely Rotem, co-directors of MODU, will present their work investigating architecture’s relationship to weather. The firm’s work proposes a shift in traditional modes of environmental thinking: architecture, as a conceptual and cultural practice, should be informed by and adaptable to weather. Following their presentation, Juan Herreros, Principal of estudio Herreros, will provide a response to their work while discussing his practice’s approach to the environment. MODU is an interdisciplinary architecture practice that specializes in smart design that connects people to their environments. Co-directed by Phu Hoang and Rachely Rotem, MODU has won international design competitions and awards sponsored by AIA, Architectural League of New York, Beijing Architecture Biennial, and Design Museum Holon. MODU’s research has received grants from the Robert Rauschenberg Foundation and the New York State Council on the Arts. The practice’s interdisciplinary, multi-scalar approach bridges several built environment disciplines, from architecture to urbanism and interiors. 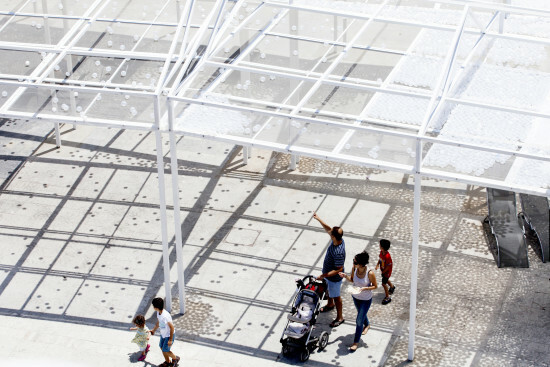 The biennial competition New Practices New York is a preeminent platform in New York City to recognize and promote new and innovative architecture and design firms. The juried portfolio competition is sponsored by the AIANY New Practices Committee and honors firms that have utilized unique and innovative strategies, both for the projects they undertake and for the practices they have established. 2016 marks the 10th anniversary of the New Practices Committee and the New Practices New York competition.